After an impotent end to a one-sided fight, it was an exasperated bunch that filed out of Madison Square Garden on Saturday night. 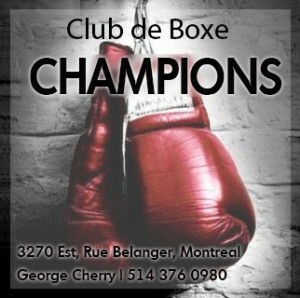 The main event, which concluded with Guillermo Rigondeaux refusing to answer the bell for round seven on account of a supposedly broken hand, was unsatisfactory for everyone. 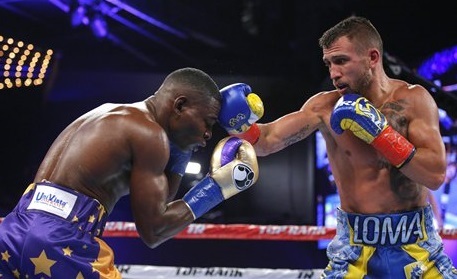 Vasyl Lomachenko’s fans wanted Rigo battered as punishment for his ceaseless clinching, while fanciers of the cat-like Cuban wished he might at least see the final bell. Other Rigondeaux fans, possessing that instinctual sense for tragic cruelty, perhaps wished for a violent last stand, with “El Chacal” going out amidst a hail of punches like the anti-hero of a gangster movie. But nothing of the kind happened. Rigondeaux simply said “no more” and trainer Pedro Diaz removed his gloves. The fans booed, the loser did a dismissive interview in which he claimed no excuse before immediately making one, and the building emptied amidst conversations about how mixed martial arts is better than boxing. 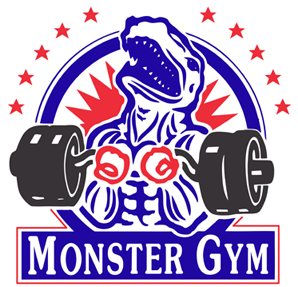 And indeed, if new fight fans had only Saturday night’s show on which to base their assessment of boxing, even a lame UFC event might have surpassed what we received. The undercard was mediocre, the main event a frustration, and Stephen A. Smith was somehow involved, appearing on the big screen with the too-serious facial expression of an embedded war correspondent detailing the day’s casualty count. (In case it needs to be pointed out, this face is a performance, employed to lend gravity to pronouncements on boxing matters Smith hasn’t bothered to research.) Aside from Lomachenko, the only fighter who truly impressed was Puerto Rican super featherweight Christopher Diaz, who blew away Bryant Cruz in three rounds and then, in a resounding interview, promised fans he would be Puerto Rico’s next boxing superstar. 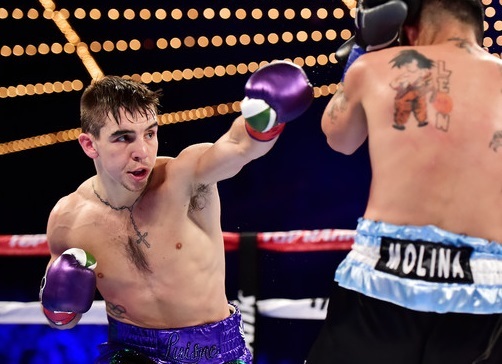 In the co-main event, Mick Conlan outboxed an overmatched Argentine, delighting both the actual and wannabe Irish who had filled many of the theater’s seats. No country inspires as much reverential nostalgia in North America as Ireland, and Conlan — a fine but unspectacular fighter who throws badly angled punches that could be timed with a calendar and measured for impact with a pillow — is poised to cash in on the sentimentality. 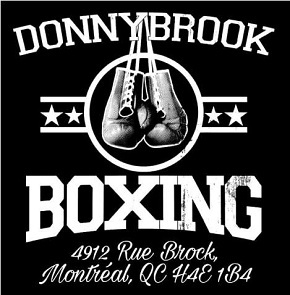 To discuss the stylistic clash between Rigondeaux and Lomachenko would be to paraphrase what’s already been written. One man was young, fast, and unhittable, while the other was glaringly unsuited to the challenge. 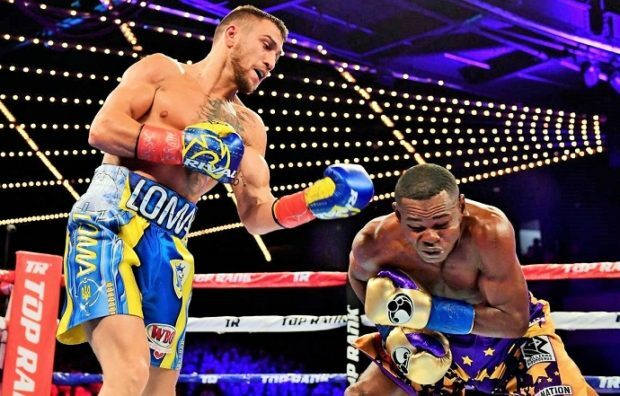 Lomachenko is machine-like and without stylistic precedent. Rigondeaux is brilliant but old, flat-footed and, in this case, fighting at every disadvantage but experience. Conlan: poised to cash in. Perhaps this last sentence isn’t entirely true. The lone thing Rigo hadn’t experienced as a professional, which Lomachenko had, was a loss, and the Cuban may have felt overwhelmed by the prospect of fighting out from under the foot of a man of equal talent and intelligence. It can also be conjectured that at no point in his life had Rigo ever felt the sense of inferiority Lomachenko likely aroused in him on Saturday. 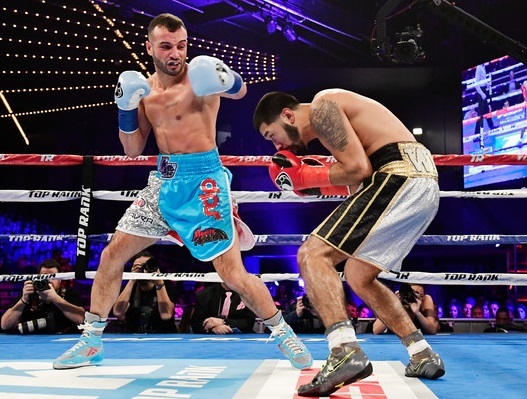 And Loma, who had grown as a fighter precisely because he had lost, looked at ease, as though surprised Rigondeaux had ever created problems for his opponents, a surprise he took evident delight in. Whether Rigondeaux’s hand was actually hurt is useful information only to those who see fighters as archetypes. And to these people, for whom Rigo’s injury, perhaps plausibly, looked like an alibi, his betrayal of the sport’s cinematic ethos — in which cartoon warriors fight through unthinkable harm in a vacuum divorced from external considerations — will never be forgotten. Given this exit, where can he go from here? His past accomplishments aside, he is a man clearly older than his age suggests, who fights in a style many delight in hating, and who shows an antipathy for nearly everyone he deals with. His options are neither abundant nor attractive. Rigo stays on his stool. And what about the die-hard fight fans, some of whom traveled far distances to see this “mythical” match? It would be fair to say they didn’t get their money’s worth, but then what is buying a ticket to a sporting event other than placing a bet on it being worthy of the cost? It’s a wager many of us lost on Saturday, but one we have no occasion to gripe about: there was always a greater possibility it would be a rout, rather than a classic. As usual, reality won out. After the fight, the Ukrainian made the night’s most lucid comment when he stated that his victory wasn’t really a big win since Rigondeaux was the king of a weight division two classes lower. 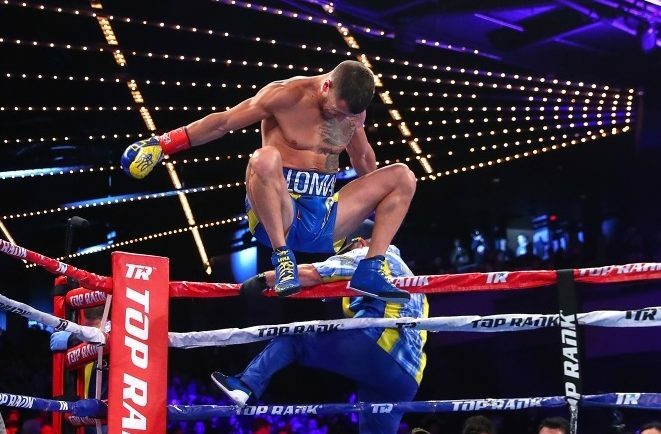 He knew, better than anyone else, that hype and hope would dissolve before his manifold advantages, and Lomachenko made this remark as though it should have always been obvious. In the week before the match he had declared that facing Rigondeaux was “just another fight,” and while boxers use this boilerplate to avoid publicly wrangling with the seriousness of their task, it appears that all along he knew any hope of Rigo out-dueling a bigger and busier man was delusional. To return to Rigondeaux and Saturday’s fan experience, it must be stated that, upon reflection, we really couldn’t have expected more from “El Chacal.” After all, he is a man preoccupied with self-preservation. This is evident in his refusal to alter the placid fighting style that has brought him success, and in his imperious, dismissive air, which leaves little interpretation for the disdain in which he holds interlocutors. Rigondeaux doesn’t care how his actions will be perceived so long as they advance his interests, and on Saturday, with possibly a broken hand and clearly no chance of winning, he decided that his interests were best served by quitting. This may have disappointed boxing fans, but why would we expect his calculating nature to arrive at any other conclusion? The most bizzare argument I have read for not being angry at Rigo, but at the same time, contrary to author’s intent, the article could not be more dismissive of the Cuban defector. Pretty accurate article. Rigo simply calculated he was outmatched and had no interest in struggling or fighting in the sense of selling all out for a chance at a win. Loma to me is Calzaghe revisited – hammerfists behind the head upgraded of course. His step around or side-stepping is not new either but more utilized and evolved than most boxers. Slicker boxers stopped stepping around fighters as they utilized the more advanced technique of spinning the opponent around. He does both. But let’s see what happens when he faces someone faster than him. I think Paq at this age bloodies Loma up, even if Loma outscores him.